If you’re joining a cruise in Barcelona it would be criminal not to spend a few days there before or after your voyage. 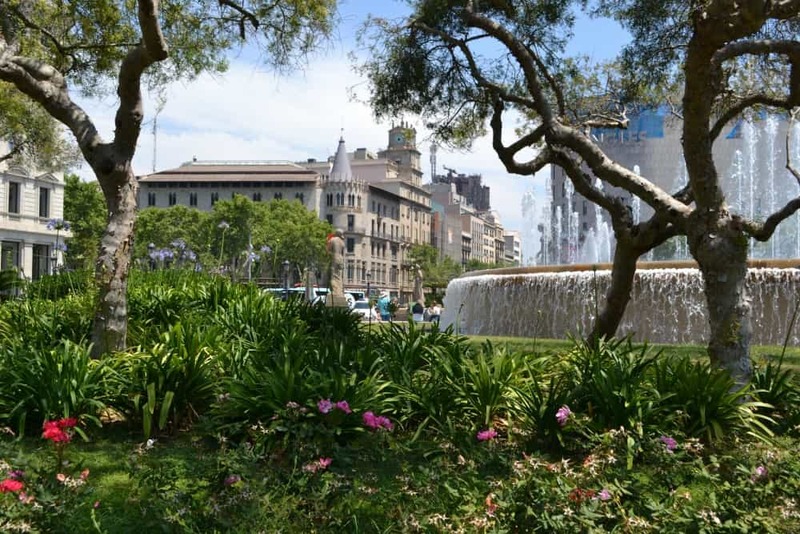 Both Sarah and Claire have visited Catalonia’s capital with their families and have lots of recommendations for things to in Barcelona with kids pre-cruise. Make sure you don’t miss out on this must-see Mediterranean cruise port. Where to stay in Barcelona with kids pre-cruise? 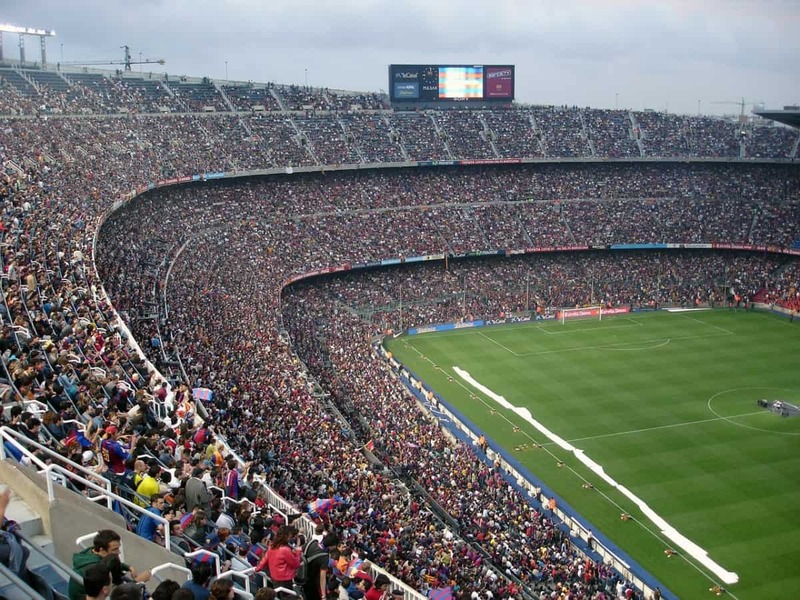 We have visited Camp Nou several times; the boys were blown away by it. But what they would really love is to watch a match. However if you land in port and there is not an event on the tour is very interesting, even for non-football fan. And for football mad kids it’s the stuff of dreams. And if you are lucky enough to catch a match pre-cruise, the atmosphere of a match is incredible. Just seeing the joy on the boy’s faces is worth 90 minutes of football. As of course is the promise of visiting the champagne bar at half time. Tibidabo amusement park was built in 1889 and is a little way out of the city. There is something special about a real vintage fun fair isn’t there? 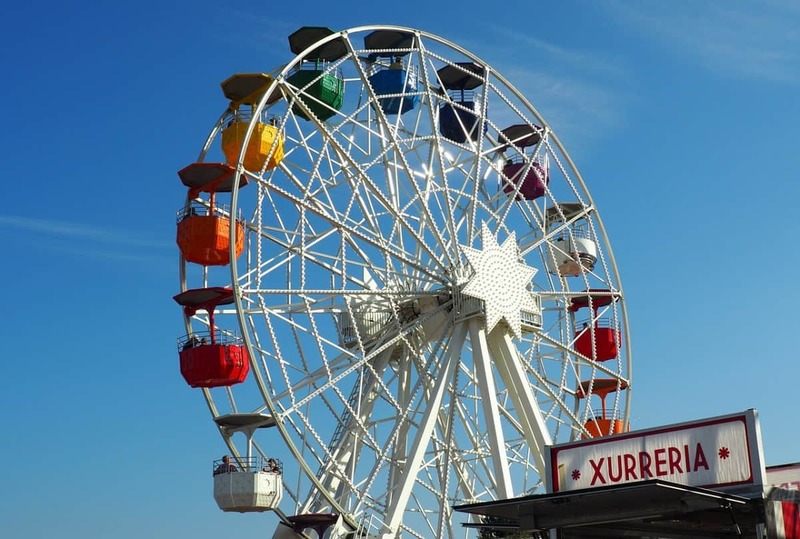 And Tibidabo Amusement Park looks to be a real treat; packed with the most beautiful vintage rides you wont know whether to ride them or photograph them. I could never get bored of looking at the works of Gaudi and just love the fact that he has left his mark all over Barcelona. 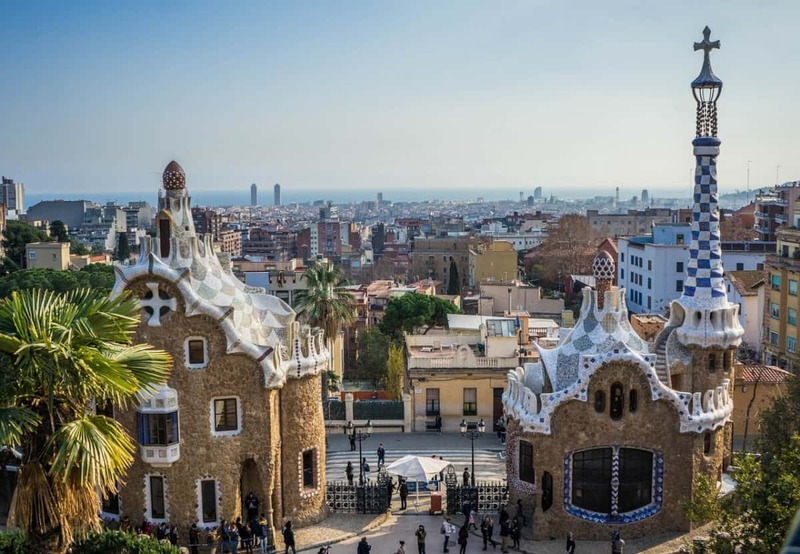 Park Guell was originally planned to be a housing estate for the elite of Barcelona. But the idea was shelved after only 2 houses were built. As a result it was repurposed as a park. And is a wonderful place for families to visit, the most beautiful park with so much to see and lots of open space for kiddies to run. This offers a great escape from the hustle and bustle of the city and more than five hectares of marbled square where toddlers can let off steam. Plaça de Catalunya is at the end of the commercial shopping street running parallel to Las Ramblas and sits at the centre of the city. Here we sipped coffee while our eldest chased after bubbles being blown by the buskers and dipped her fingers in the fountains. This is a brilliant family attraction for a wet or very hot day in Barcelona. 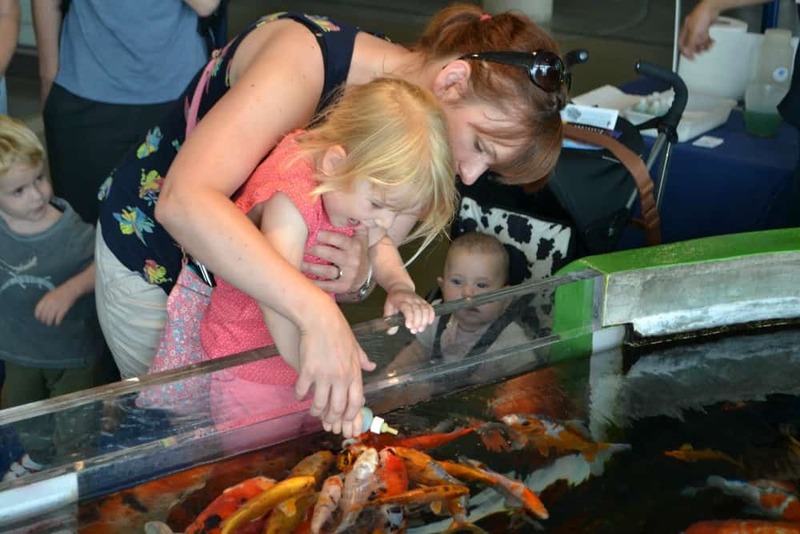 The aquarium has walk through tanks, an interactive children’s zone, and penguins. The highlight for our toddler was feeding the hungry carp. 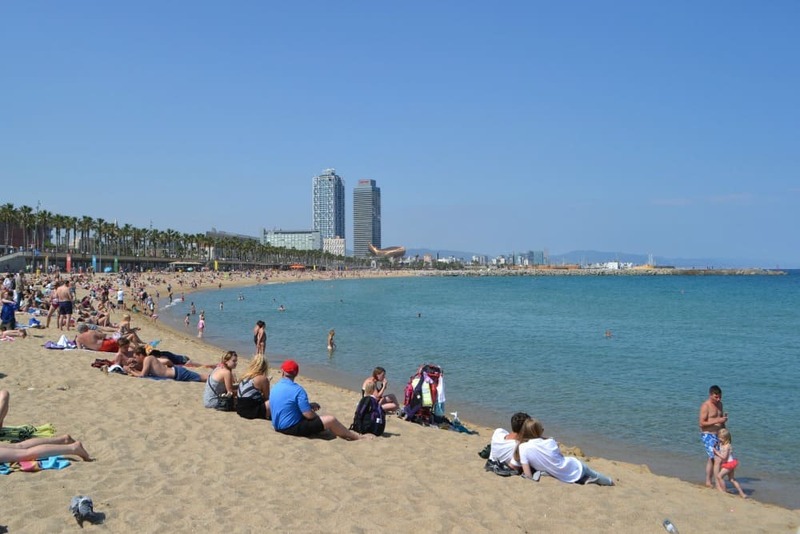 Barcelona’s urban beaches are the ideal spot to cool down with hot and bothered babies and toddlers when exploring the city becomes a bit too much. We loved being able see the sights in the morning and then grab our beach towels for an afternoon on the beach. We can recommend Leonardo Hotel Barcelona as a family friendly place to stay within easy walking distance of Las Ramblas and the Metro. 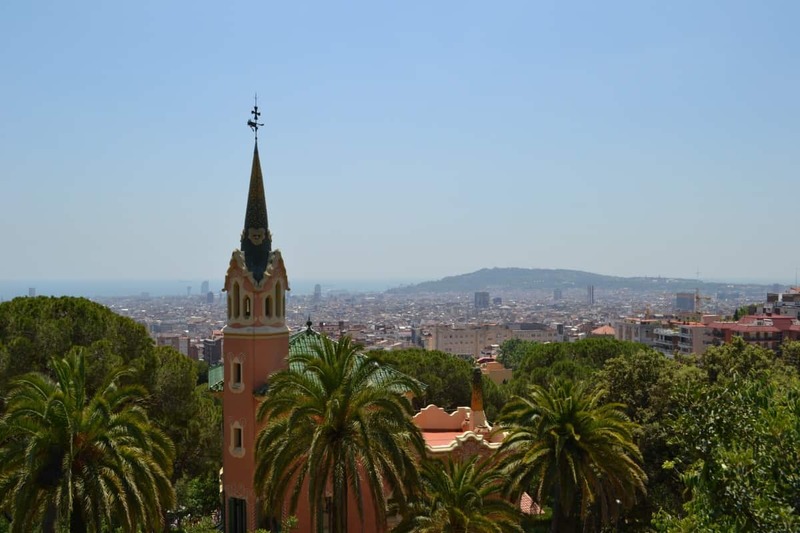 Have you visited Barcelona with kids? What would you recommend seeing while you’re there? Next Post Planning a Disney Cruise?